Red Dead Redemption 2: Is ‘crunching’ actually voluntary overtime? Later today, the review embargo lifts on the biggest video game since Grand Theft Auto 5. Even those of you not of a video gaming persuasion have no doubt noticed the constant advertisements online, on the TV and on the side of buses for “Red Dead Redemption”. What is Red Dead Redemption 2? Well, it’s an adventure game set in the Wild West with the almost mandatory mix of horse chases, gun-slinging and exploring a vast desert-eske landscape. So, why is it such a big deal? One word: Rockstar. Rockstar are the equivalent of Apple 10 years ago. By that, I mean that nearly every product they make receives rave reviews (at least 95% on average) and is known for its brutal, gritty storytelling. As an example of their attention to detail, in some shape or form, work on this game has been ongoing for eight years with a budget larger than many Hollywood movies! So, surely, eight years is more than enough to make a good game. Well, yes. But Rockstar want to make ‘extraordinary’ games not just good or very good ones. And this, unfortunately for them, has led to a lot of media controversy over supposedly ‘voluntary’ overtime and the issue of ‘crunching’. Let’s tackle the media controversy first. Around a fortnight ago, the head writer behind the game gave an interview to the New York Magazine and described working “100 hour weeks” to get the game finished. He quickly retracted his comments and stated that he only meant 100 hours weeks in relation to himself and the writing team and only for a period of three weeks but the damage was done and every former disgruntled Rockstar workers (and some current members of staff on an anonymous basis) came out to complain about ‘crunching’. ‘Crunching’ is the practice of having an extremely tight deadline and needing to dedicate a large number of additional hours (outside usual working hours) to get the task complete. Akin to cramming work into an essay at 11pm the day before submission, for example, albeit that essay isn’t worth hundreds of millions of pounds! Whilst the internet, as usual, has really come into its own with a ‘black and white’ analysis of events (i.e. Rockstar are either ‘amazing to work for’ or ‘evil’), this does highlight the grey area that is overtime. So, for example, the issue of overtime is different depending on whether staff are paid hourly or salaried. Naturally, salaried staff only tend to receive paid for overtime if it is within their contract and approved beforehand, whilst staff paid hourly will (presumably) receive pay for the majority of their overtime but would most likely be on a lower wage anyway (and may depend on overtime to top up an otherwise average salary). Either way, whether paid or not, the effect of consistently working for over 55 hours per week under pressure in certain industries can quickly have an adverse effect on employee wellbeing. In addition, to muddy the waters further, some Contracts of Employment have ‘voluntary’ overtime clauses (i.e. it is up to the employee), some have ‘mandatory’ overtime clauses (but limited by a the general duty of care owed by the employer to the wellbeing of the employee) and some have vague clauses (mainly within salaried contracts) stating that the employee will be required to work additional hours without additional remuneration from time to time (albeit subject to National Minimum Wage rules). The real problem? Some employers (no judgment on Rockstar here, as I’m only commenting on points reported in the media and have no insider knowledge) don’t check the ol’ Contract of Employment to check which kind of overtime clause each employee has and, rather, seeks to enforce and/or ‘persuade’ staff to work excessive overtime in any event. The good news for Rockstar employees? They are reported to have bonus clauses in which they receive lucrative bonuses if the game sells well (which it is nearly guaranteed to). However, even this can lead to difficulties with those staff members struggling to keep the relentless pace but knowing that, if they leave before the bonus is due, they receive no bonus. Another matter of controversy is the practice of Rockstar only putting staff in the credits for the game if they are still an employee at the time of shipping (i.e. you could have put seven years into the game and left 3 months before publication) and not receive credit. Now, Rockstar say that the ‘crunch’ on this game has been less challenging than with previous games but still acknowledge that things can always be improved (including their recent confirmation that they will make a webpage containing details of staff who worked on the game but left before publication to aid their CVs). Overall, as in other industries, the concept of ‘crunching’ remains a tricky one. On the one hand, for instance, in the approach to the end of a financial year, some companies have tasks which must be completed by a certain date. On the other hand, if staff don’t have sufficient clauses in their Contracts of Employment to ensure overtime is mandatory (rather than voluntary), they are likely to be aggrieved at being pushed to work far above their contractual hours of work and this may cause tension and affect staff morale and wellbeing. My take? 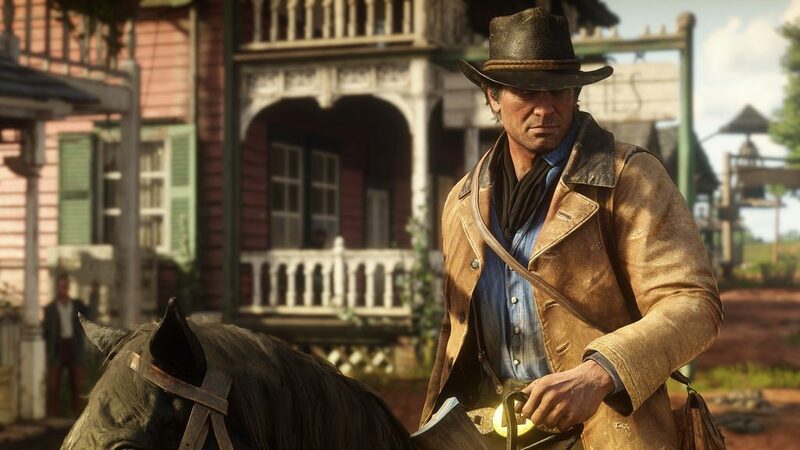 Rockstar produce the games they do by an extraordinary level of attention to detail and, to continue doing so, there will continue to be ‘crunch’ points for games (particularly ahead of printing the final game discs). However, whilst some ‘crunch’ points may be unavoidable, decisions should be made to make ‘crunch’ periods of overtime as short as possible and, where it would otherwise risk employee health, consider an alternative (such as delaying the game by a few weeks, limiting planned changes to the game or simply updating the game a few weeks after release by online patch). In the meantime, I look forward to picking up the game and donning my (virtual) cowboy boots shortly! Yee haw! NextNext post:How would bruising Brexit arguments be resolved in the workplace?